One of the biggest hurdles in many individuals’ claims for Social Security disability benefits is gathering all of the relevant medical records. No matter how severe your conditions are, your claim may be denied for lack of medical evidence. 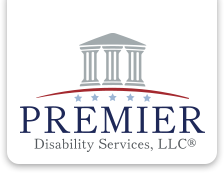 Many states have laws that waive or limit the amount of money medical providers can charge for providing copies of medical records when the request is made in connection with a Social Security disability or Supplemental Security Income (SSI) claim. Other states have limits that apply to all requests, regardless of purpose, while other states have no limits at all. The list of states which prohibit charging for medical records in connection with a Social Security disability or SSI claim now include: California (one free copy if unrepresented), Connecticut, Kentucky (first copy free), Massachusetts, Michigan (if indigent), Minnesota (if indigent), Nebraska, Nevada (first copy free), New York, Ohio (first copy free, plus one update free), Oregon, Rhode Island, Tennessee (if indigent), Texas (first copy free), Vermont, and West Virginia (one free copy of indigent). Separately, the HIPPA Privacy Rule permits a medical provider to impose a “reasonable, cost-based fee,” which may include only the cost of labor for copying the requested records, whether in paper or electronic form; supplies for creating the paper copy or electronic media (e.g., CD or USB drive); postage, when records are requested to be mailed; and preparation of an explanation or summary of the medical records, if agreed to by the patient. See 45 CFR § 164.524(c)(4). The fee may not include costs associated with verification, documentation, search and retrieval, maintaining systems, recouping capital for data access, storage, or infrastructure, or other costs not listed above, even if such costs are authorized by state law. See also U.S. Department of Health & Human Services, Individuals’ Right under HIPAA to Access their Health Information, 45 CFR § 164.524. If you or someone you know is unable to work due to a medical condition, please contact us for a free case evaluation! The Compassionate Allowance program identifies claims that should easily meet SSA’s standards for disability. Several impairments will be found disabling based on diagnosis alone. Others must still meet certain criteria of severity. More than 1 million Americans are awaiting a hearing before an Administrative Law Judge to determine whether they qualify for disability benefits from the Social Security Administration (SSA), with the average wait time being nearly two years – longer than some of them will live. About 10.5 million people receive disability benefits from the SSA. The disability programs are smaller than Social Security’s retirement program. Still, the agency paid out $197 billion in disability payments last year alone. The average benefit is approximately $1,171 a month in 2017. And for some, the benefits come too late. Chris Hoffman worked as a mason, laying bricks and tile and pouring concrete. He had chronic back pain for much of his life, but he kept working until a series of heart attacks. He applied for Social Security disability benefits in 2014 but was denied. He appealed to an Administrative Law Judge. Last year there were 7,400 people on waitlists who were dead, according to a report by Social Security’s inspector general. The SSA says it is working to reduce the backlog by hiring 500 new Administrative Law Judges and more than 600 support staff. The judges, who now number about 1,600, hear appeals from people who were initially denied benefits. The agency is also expanding a program that quickly awards benefits to people with serious illnesses and conditions, including certain cancers. Despite these efforts, budget cuts over the past five years have frustrated efforts to reduce the disability backlog. Last year, the agency’s budget was $12.6 billion, roughly the same as it was in 2011, even though an additional 6 million people receive either retirement or disability benefits from Social Security. To get benefits, applicants first apply to state agencies that work with the SSA to decide claims. These agencies approve, on average, about one-third of the applications they receive. In most states, applicants who are denied benefits can ask the same state agency to reconsider, though very few of these applications get approved. The next step is to file an appeal with an Administrative Law Judge. This is where the backlog swells, with 1.1 million applicants waiting for a hearing before a judge. This is slightly down from last year, but a 31 percent increase from 2012. The national average wait for a hearing is 602 days. Five years ago, it was less than a year. Chris Shuler could not attend his hearing. He was working as an airplane mechanic in Oklahoma when he was exposed to some chemicals and developed severe respiratory problems, said his wife, Elizabeth Shuler. The medicine he took for his lungs affected his bones and he eventually had two hip replacements, she said. Mr. Shuler applied for Social Security disability payments in 2012 and was denied almost immediately, his wife said. He died in July 2015 from an infection that started in his hip, just before his 40th birthday. Navigating the SSA’s disability system can be a long and frustrating process, but you do not have to do it alone. Please contact us for a free case evaluation if you are thinking or starting a claim, or even if you have a current application pending.